TruQC’s issue tracking optimizes the way your business manages, tracks and reviews issues that arise during any project. Available to all TruQC users, issue tracking is highly configurable to ensure efficiency for your company. From identification through resolution, users can track an issue with relevant information. Each issue is labeled and noted with a level of severity that helps reviewers identify high priority items. Fields are permission based, allowing each user type to have different levels of authority in reviewing or changing the status of an issue. Those with access can mark and follow issues through open, in review and closed statuses. Issue tracking streamlines the process of tracking and resolving jobsite issues. 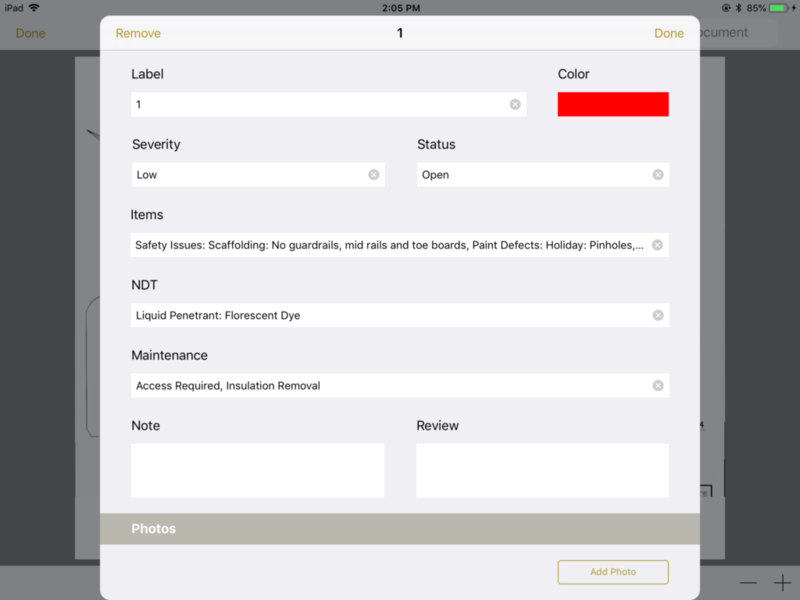 Field users first identify jobsite issues on a blueprint or photo using the iPad. Set up specific categories for your company to identify issues on the jobsite. Each issue can then be tracked through a series of configurable items: severity, status and NDT testing (if applicable). Issue tracking is permission-based to make sure the proper people have access to edit or give feedback. Each issue has an option for the user to take and upload photos and add notes. 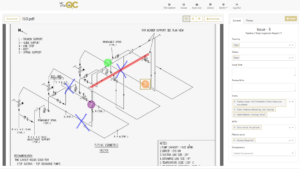 Review and edit issues directly from your desktop with TruQC’s Web App. The Web App version of issue tracking is ideal for anyone editing issues from the office rather than the field. The issue tracking tab is a collection of all issues that have been identified in TruQC. Filter issues by criteria such as report type, severity, status and more. Available on both the Web App and iPad, the issues tab allows Admin users to manage and access all issues instantly. Closely monitor issues across jobsites until they are marked as closed. Users can learn about issue trends by collecting and analyzing data through built-in custom summaries. Learn about issue trends, run pivot tables in Excel and access the issue data instantly at any time.